Each year, before the start of the official NBA season, a selection of friendly pre-season games are played. This year, ahead of the season opener on 29th October, eight international games have been held in Europe, Asia and South America. 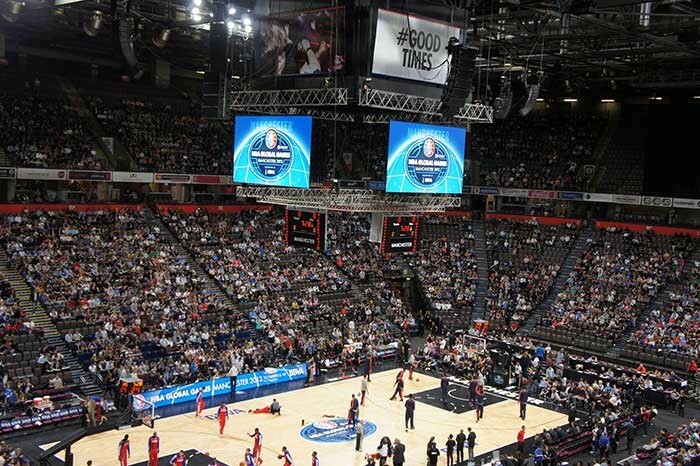 XL Video, working for event producer, STS Touring Productions, supplied LED screens for the Oklahoma City Thunder v Philadelphia 76ers game at the Phones4U Arena in Manchester on 8th October. 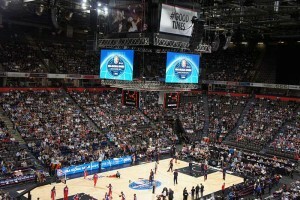 The four flown screens were situated in the centre of the arena, allowing the audience on all levels to have a great view of the fast-paced on-court action. The screens not only showed live action from the courtside cameras, but displayed score graphics, player profiles and other game information. XL Video selected Pixled F-6 LED for the screen as its high resolution offered the audience excellent picture quality. The product is also lightweight and so made it easy to rig from the arena roof. A total of 336 tiles of F-6 were used for the screens. The challenge for XL was a short load-in time in which the crew had to unload, build control and fly the screen before the basketball court could be laid. 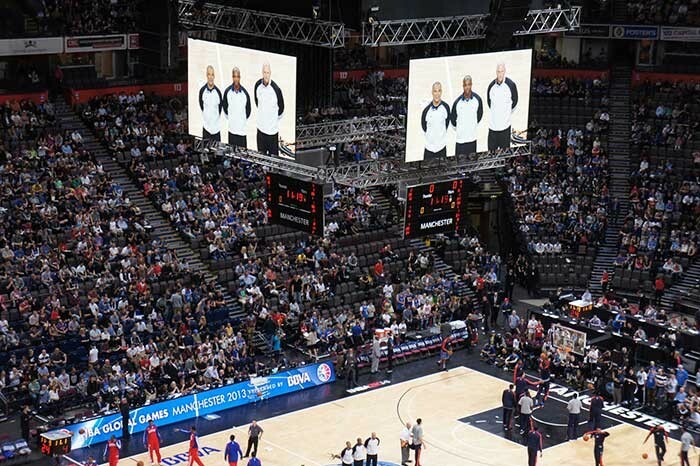 The crew of Steve Grinceri, Gary Burchett, Colin Mudd, Rob Smith and Barry Minter, led by project manager, Mark Rooney, ensured that the screen was up with time to spare.